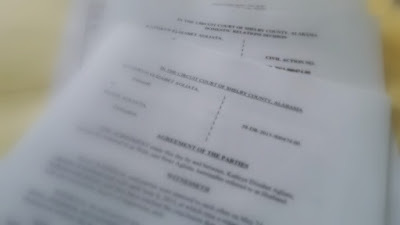 Today I signed my divorce papers. After a 15 month battle, one might think I'd be dancing on the ceiling right now, but it's a bittersweet day. I'm excited to enter this next phase of life, but I'm also a little sad. I'm sad that my marriage didn't last, but I'm mostly sad for my children, that they've had to (and will continue to) endure the harsh reality of their parent's marriage not lasting. My body and mind are completely worn out. I'm mentally, physically, and emotionally exhausted. But here I am, wanting to write, wanting to reconnect with my former self, wanting to not be afraid anymore, wanting to honestly share what's on my mind or in my heart... as I've not been able to do for so long now. I'm back! And life is going to be good again. I just have a feeling it's going to be better then it's ever been before. Welcome to Kate's Musings, Take 2!